Among the most prolific fictioneers ever to pound a typewriter, Johnston McCulley has earned pop-culture immortality as the creator of Zorro, who made his debut in 1919. At that time he was just one of many McCulley characters romping through the shag-edged pages of America’s pulp-fiction magazines. Most others appeared in Street & Smith’s Detective Story Magazine, a weekly periodical devoted to fast-paced tales of crime and mystery. The three novels contained in this book, originally published in Detective Story as several series of connected novelettes, feature protagonists operating outside the law. Two of them, Black Star and The Spider, are master criminals who take special pleasure in outwitting police; the third, The Thunderbolt, is a vigilante attempting to right wrongs beyond the law’s reach. Although these yarns were written a hundred years ago, they lack the florid excesses common to what is popularly known as “purple prose.” McCulley’s style is simple and direct, and aside from some stilted dialogue here and there, his fiction remains just as entertaining as it was upon first publication. Moreover, his World War I-era protagonists set the pattern for countless pulp characters to follow, lending historical context to their fanciful exploits. In reading the adventures of Black Star, The Spider, and The Thunderbolt, today’s pulp-fiction aficionado will encounter tropes that were still being employed twenty and thirty years later. 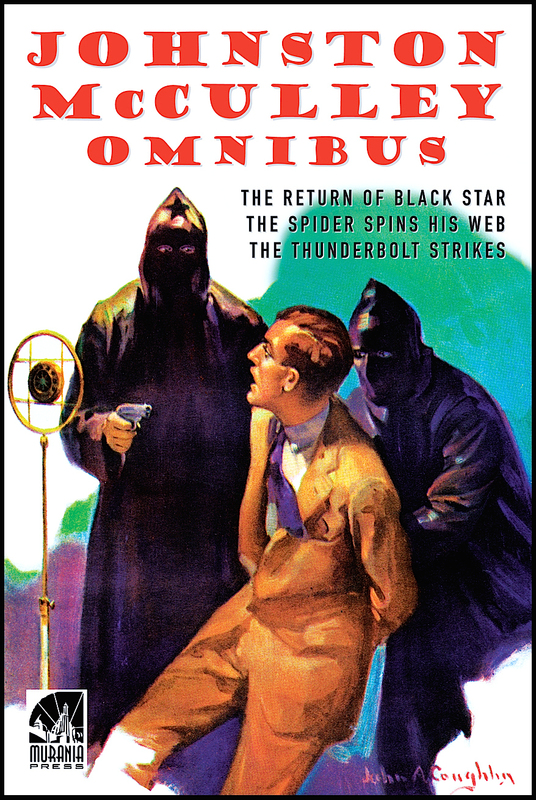 None of the characters in this omnibus had Zorro’s longevity, nor did they achieve his success in other media. But they are fascinating nonetheless as precursors of an entire school of pulp heroes and villains.